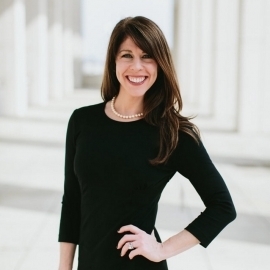 Daniele Donahoe came to our firm in May 2010 from Columbia Management Group, previously owned by Bank of America, where as a Senior Portfolio Manager she co-managed the Columbia Small Cap Growth II fund. Prior to Columbia Management, Daniele served as an Associate Analyst on an Institutional Investor Magazine Ranked Equity Research Team following the Enterprise Software Industry at Salomon Smith Barney (Citigroup) in New York. 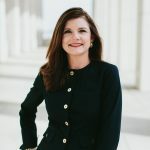 She has also served as an associate at Thomas Weisel Partners in San Francisco, CA and J.C. Bradford in Nashville, TN. Throughout her career, Daniele has focused on equity research across a broad range of industries ranging from multi-billion dollar corporations to small and micro capitalization equities, and she has co-authored industry publications such as B2B eCommerce: A Vertical and Horizontal Perspective and E2E Commerce: How the Internet Redefines Enterprise Software. Daniele is a CFA charterholder and a graduate of the Kenan-Flagler Business School at the University of North Carolina at Chapel Hill. She recently passed Level I of the CAIA. Daniele is also a majority shareholder of Rinehart Wealth Management. Daniele served on the board of NC CFA Society and is a member of the Women’s Impact Fund and the Women Executives (WE). Daniele serves on the Investment Committee at the Foundation for the Carolinas. She served as a tutor in the Study Buddies program at Dilworth Elementary. Daniele received the Charlotte Business Journal’s Women in Business Award for 2012, and the Charlotte Business Journal’s 40 Under 40 Award for 2013. In 2014, she was honored with the Mecklenburg Times 50 Most Influential Women award. Daniele is frequently quoted in the Wall Street Journal, Bloomberg and other investment related publications. McShane Partners Wealth & Investment Advisory is a registered investment advisor with the Securities Exchange Commission.